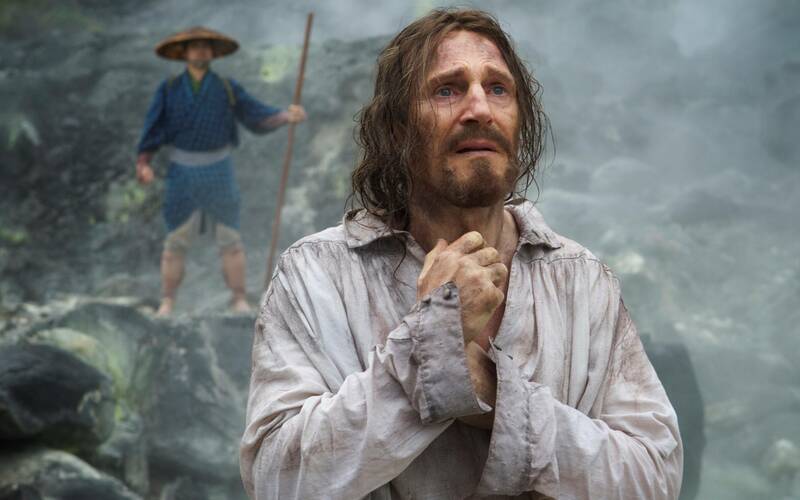 It’s been over a year since we first learned some of the details about Scorsese’s long-awaited adaptation of Silence, a 1966 book by Shusaku Endo about Catholic missionaries facing persecution – and a crisis of faith – in 17th-century Japan. Since then, the film has remained (perhaps fittingly) shrouded in mystery. Aside from an official release date (limited release on December 23, wide release in January) a few more stills (such as this one of an emaciated Liam Neeson or these pictures of pictures), and reports of an original runtime of over 3 hours that has since been cut down to 2 hours and 39 minutes, we’ve learned very little about Scorsese’s decades-long passion project. (That hasn’t quelled the hype; Silence has already generated plenty of Oscar buzz, and producer Irwin Winkler calls it Scorsese’s “best movie”). But a few new film stills and a new Fandango interview with star Andrew Garfield really start to bring things into focus. Garfield goes on to talk about the filming process and some of the instruction he received from Jesuit priests while working on the film – instruction he carried over to his role as Desmond Doss in another highly anticipated film, Mel Gibson’s Hacksaw Ridge. There is still no trailer to share just eight weeks before the official release, so it’s a safe assumption that the studio is not expecting Silence to be a commercial hit. But after so many years of thought and attention, Endo’s groundwork and Scorsese’s direction will likely yield something far greater: a profound, unsettling, and timely vision of the human soul from two master storytellers.